Joel McHale is best known for his role on the comedy series, Community, where he played fast-talking lawyer Jeff Winger who was forced to return to college when his law degree was revoked. While in college, he became the reluctant leader of a group of misfits. The show aired on NBC for five seasons and one season on Yahoo. Martin Short is a comedian, actor, writer and producer who worked primarily in television and radio before moving to New York. In America, Martin Short worked in popular comedy shows on TV and subsequently he went on to feature in the hugely popular show ‘Saturday Night Live’ that made him a household name. Short also went on to host talk shows and comedy shows on his own that were highly successful. ​It was not long before Short decided that he could also be a successful film star and some of his well-known films include ‘Three Amigos’, ‘Innerspace’ and two ‘Father of the Bride’ films. 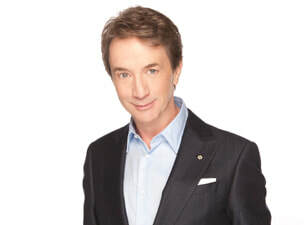 Despite being an extremely busy comedian and actor; Martin Short went back to the stage time and again to act in plays. Martin Short is without doubt one of the most iconic comedians from Hollywood and his appearances on ‘Saturday Night Live’ are still regarded as memorable. Tom has appeared on The Tonight Show with Jay Leno, The Late Late Show with Craig Ferguson and Last Comic Standing. In 2003, Cotter filmed his own half-hour special for Comedy Central. Cotter has won several comedy competitions. ​In 1994, he won Seattle's International Stand-Up Comedy Competition.. He gained his first success in the Boston comedy scene, where he is still a favorite, and also won the grand prize at the Boston Comedy Festival and was voted Best Stand-Up at the Las Vegas Comedy Festival. Growing up, Regan said his comedy influences were Johnny Carson, Steve Martin and the Smothers Brothers. 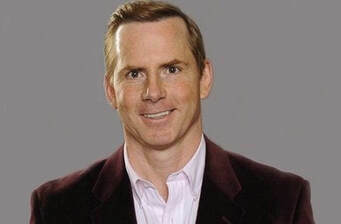 Regan – whose older brother, Dennis, was part of the 2013 Great American Comedy Festival, finishing second in the professional stand-up competition – made his first appearance on “The Late Show with David Letterman” in 1995 and has performed on the show about 30 times. He has released two critically acclaimed comedy DVDs and set a record for five sold-out shows at a performance hall in Salt Lake City, Utah, eclipsing the previous record of four straight sold-out shows by Jerry Seinfeld. He typically tours and performs in theaters in 80 cities each year. He’s best known for turning mundane situations – like going to the eye doctor to get fitted for glasses, or trying to decide how many Fig Newtons to eat in one setting – into side-splitting stand-up material. Serving as the headliner for the Saturday, June 14th, Gala performance was Jim Breuer, a former cast member of Saturday Night Live and on the list of Comedy Central’s 100 greatest stand-up comics of all time. In addition to her stand-up career, Rhea started as Aunt Hilda on the television sitcom, Sabrina, The Teenage Witch. She also served as a host for NBC’s The Biggest Loser and has hosted her own daytime television talk show. It’s all that, plus her talent as a stand-up comic, that has Brill excited about her being in Norfolk for this summer’s festival. Carey — who was born May 23, 1958, in Cleveland — is known not only as a stand-up comedian, but also as an actor, game show host and sports executive. Paula has starred in comedy specials on HBO and BRAVO, won an Emmy Award, served as “official correspondent” for The Tonight Show during the 1992 Presidential race, pioneered the art of backstage commentary during an Emmy telecast, steps up to the plate for causes she believes in, and is almost always included in any compendium – be it film, television or print, noting comedic influences of the 20th/21st century, most recently, We Killed: The Rise of Women in American Comedy (October 2012, Sarah Crichton Books). Paula also appears on “Late Night w/Craig Ferguson” about three times a year and she’ll do an occasional editorial for NPR’s “All Things Considered”. Johnny Carson, the comedy icon for generations of rising stars, invited Louie to make his national television debut on the "The Tonight Show" in 1984, and the rest is history. Leno, Letterman, "Comic Relief" and Showtime and HBO specials followed, making Louie a household name and opening doors for him as an actor. He has guest-starred in sitcoms like "Grace Under Fire" and dramas like "Touched by an Angel" and "Chicago Hope," and he has had memorable featured roles in film comedies like "Coming to America," opposite of Eddie Murphy, and the classic "Ferris Bueller's Day Off." He is also host of the hilarious "Comedy Showcase," the late-night series that follows "Saturday Night Live." As one of Hollywood's most recognizable faces, Larry Miller has appeared in over 100 film and television shows. He began his career with a memorable scene alongside Richard Gere and Julia Roberts in the blockbuster film, Pretty Woman. He has since gone on to unforgettable roles in such films as The Princess Diaries, The Nutty Professor, Bee Movie and 10 Things I Hate About You. He's also a proud member of Christopher Guest's ensemble cast in the films Waiting for Guffman, Best in Show, A Mighty Wind and For Your Consideration. Miller has made dozens of appearances on The Tonight Show with Jay Leno, The Late Show with David Letterman and Real Time with Bill Maher. He has also starred in his own HBO comedy specials and on Broadway in Neil Simon's play, The Dinner Party. His other television credits include Seinfeld, Desperate Housewives, Medium, Burn Notice and Law & Order, in addition to a recurring role on Boston Legal. David Norris Brenner was an American stand-up comedian, actor and author. The most frequent guest on The Tonight Show Starring Johnny Carson in the 1970s and 1980s, Brenner "was a pioneer of observational comedy."